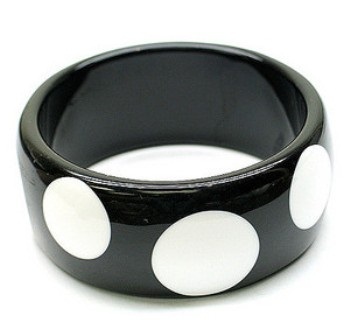 The accessory used world over for enhancing the looks of hands are bracelets. Bracelets are bands or chains adorning one’s wrist used by both men as well as women. Bracelets are fast catching attention for their latest trends; patterns and designs. 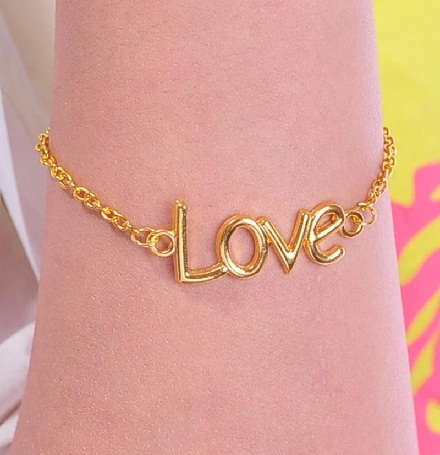 The various teaming options available for a bracelet can give a lot of ideas for women to dress according to the occasion and event.Since the fashion is a lot about accessories these days, women’s bracelets’ are very much high in demand. Adding charm to one’s personality, giving that confidence, good looking hands, style and fashion, one bracelets can just be the answer! Go flaunt those fashionable looks with the choice of bracelets for women. 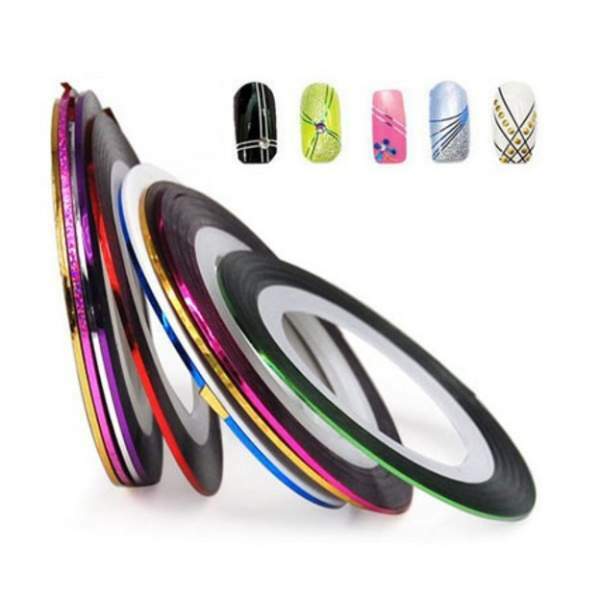 They are now considered as one of the most easily available and stylish accessory. 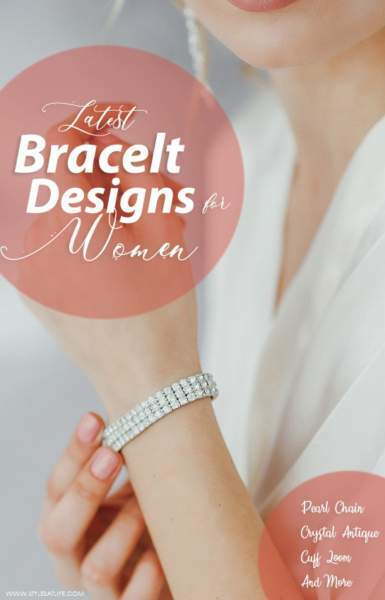 Here we will have a look into the top 30 new women bracelet designs. The safest bet and never to go out of fashion color is gold and golden. One can always be sure with any golden jewellery for the color, lustre and value. Bracelets in gold for women look amazing with traditional clothes in weddings, festivals etc. 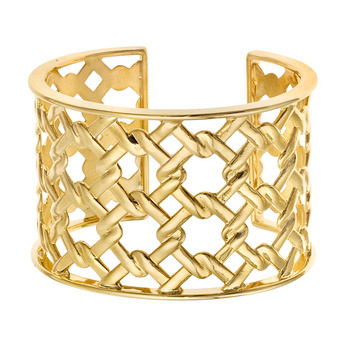 Golden bracelets can be teamed up with literally any outfit. 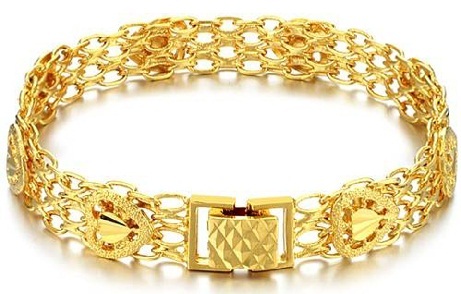 One can never ever go wrong with gold bracelets and gold jewellery. There goes a famous saying that diamonds are a women’s best friend. How can she say no to diamonds? Diamonds are a prized possession. 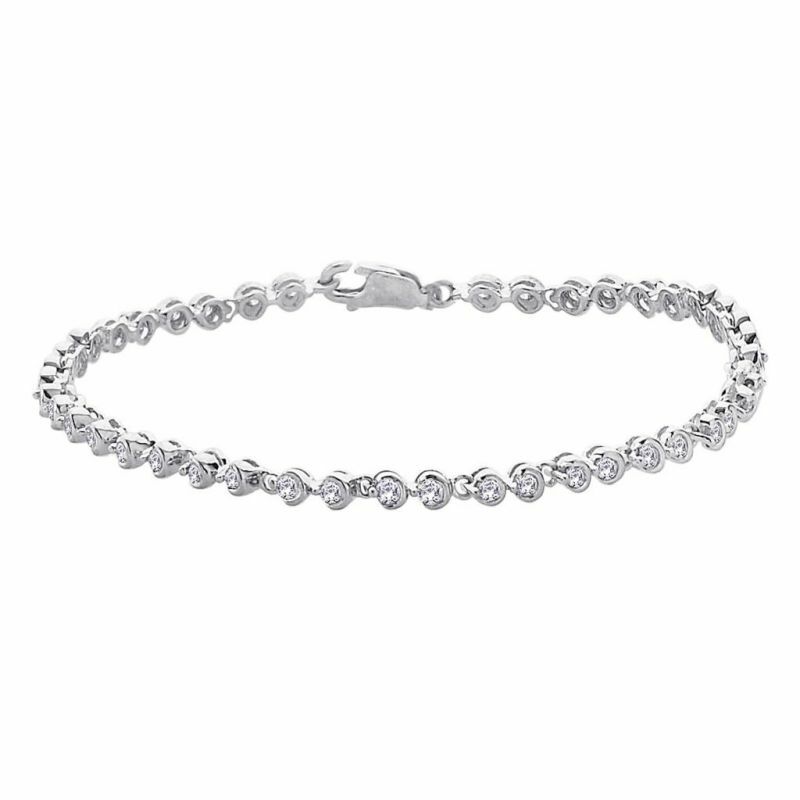 Diamond bracelets can be a masterpiece in one’s jewellery trousseau. They might be on the expensive side but nevertheless they cannot be matched for their shine, cuts and brilliance to any other piece of jewellery. They are class apart! Design of bracelets in silver are very common these days with many actors and actresses also flaunting them with style. People are comfortable wearing silver for the feel and look given by silver jewellery. Oxidized silver bracelets or bracelets with sterling silver can be paired for that casual yet earthy look and they look beautiful with any white, black or multicolored outfits. Plain chain bracelets can be for any regular occasional wear and everyday wear. They can be of gold, silver or any alloy. Teenagers and young women can experiment a lot with chain bracelets for college wear and office wear. They can be teamed up anything for a simple yet elegant look. 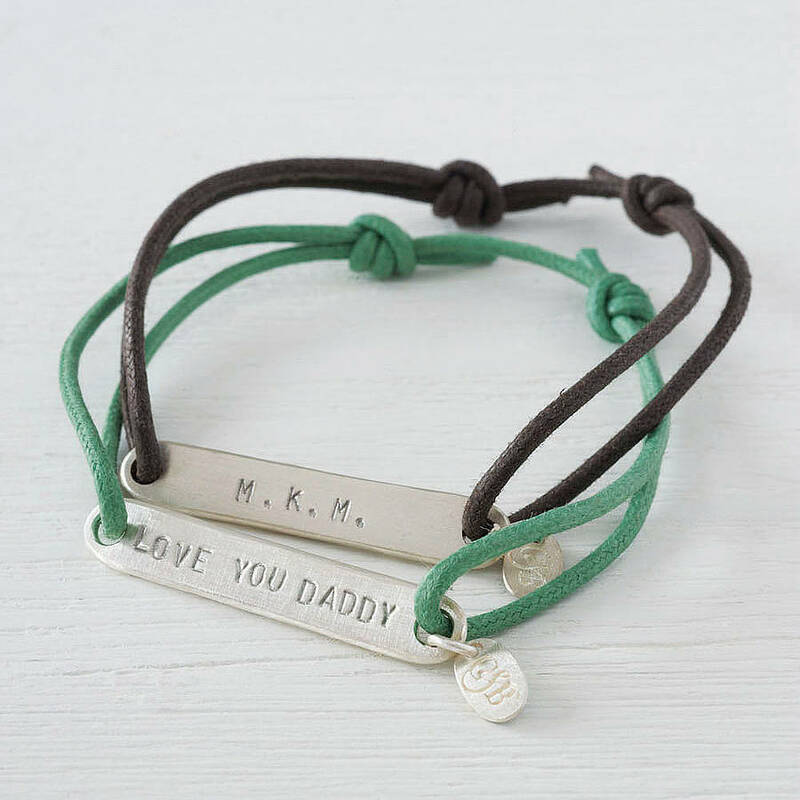 Personalized bracelets with one’s name on it, a quote or some saying or some important dates look lovely when worn on wrist. 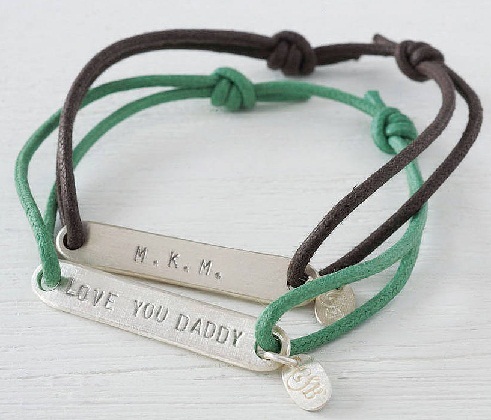 Personalizing things are very much in fashion and hence bracelets with names or quotes are very trendy in looks. Teenage girls, women as well as kids can flaunt this look with style. These can be made with metals or can also be used tied with strings in different colors. 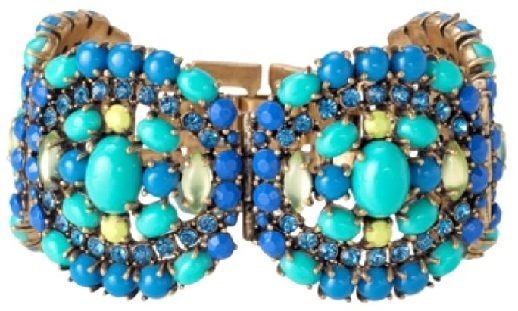 The most important thing that comes to one’s mind while thinking of trendy jewellery is a charm bracelet. Bracelets in colors like gold and silver with multiple trinkets or single trinket like stars, moon, sun, hearts, leaves, butterflies etc. can be used to create in one’s own style. Women wearing pearls are dated back to many centuries. Pearls have been flaunted in looks by queens in yesteryear’s. Pearls are a status symbol and give a classy look. 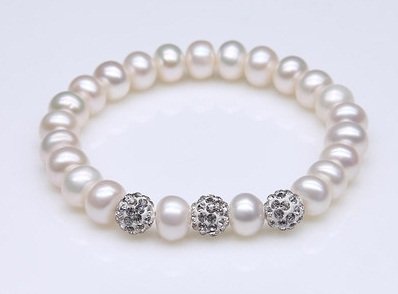 Pearls in white, off white or pink look beautiful when worn in hands. 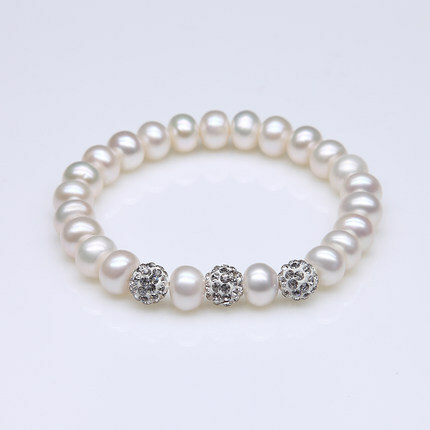 Pearl Bracelets can be teamed up with diamonds or can be used standalone too. Show a woman diamonds and pearls and that’s a sure way to win her heart. Women love both diamonds as well as pearls. These bracelets are a deadly combination and heavenly breath taking too. They are a different league altogether from the usual bracelets and are more on the expensive side. 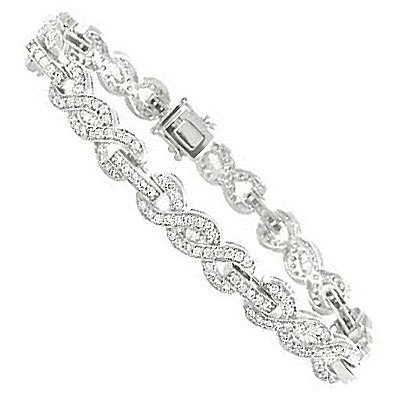 It is one of the best ladies bracelets. Bracelets with crystals and beads go well with casual look. They can be made of metal or the crystals can be tied in strings of gold and silver. They give a nice look to the hands and also look stylish. Hanging or wearing an evil eye is a common thing now. Evil eye is used in key chains, rings, pendants etc., so why not on bracelets? Bracelets with evil eyes are used to ward off glares from people believed to cause misfortune or ill luck. Rather than tying evil eye in a string or a thread, the same can be used in a bracelet with a thin golden or silver chain. Antique bracelets are very different in their looks of womens bracelet designs. They have an old, worn out finish and polish but look elegant when worn as bracelets or as any other jewellery. They are also passed on by generations to generations and can be almost many years old. Since they are so old and carried forward by generations, they are priceless. Rose gold is an alloy of gold and copper used for making jewellery. Rose gold jewellery is becoming very popular and is commonly used for rings, bracelets, and other jewellery. Also known as red gold and pink gold depending on the copper content in it these are for luxury and high end people as they are on the expensive side. They give that classy look to the overall personality of a woman. Bangle bracelets are for that traditional look. These are really pretty to look and are paired up in different thickness. 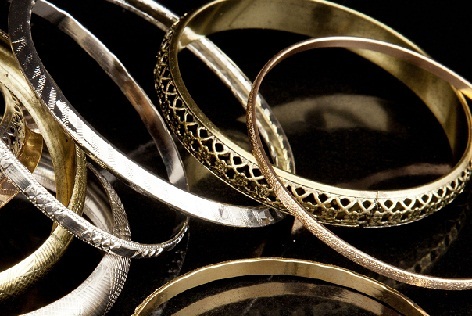 Bangle bracelets can be of any metal, alloy, silver or golden. 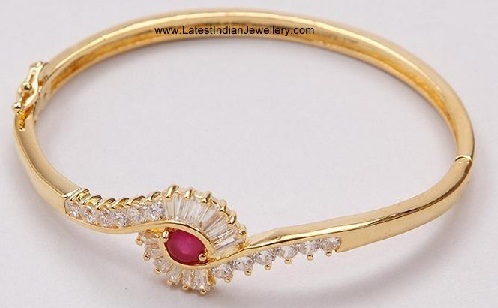 Bangle bracelets can be worn with sarees, Indian wear etc. 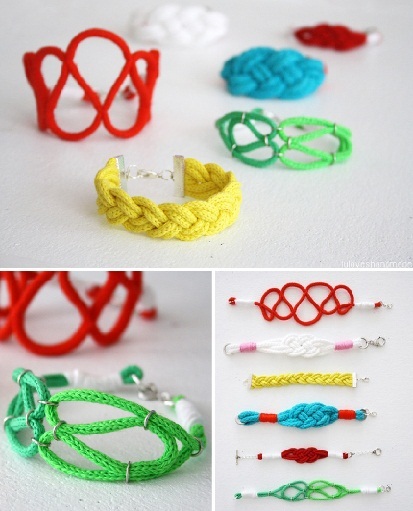 The best DIY project can be making bracelets with one’s own ideas, designs, patterns and materials. It can be an excellent hobby to explore creativity, can be a gifting option and can also be an excellent business venture too. 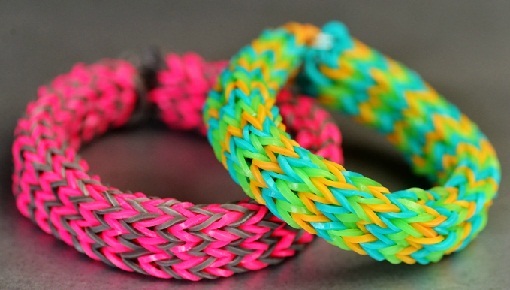 Handmade Bracelets look pretty and colorful. So let the imaginations run and get one made for you. 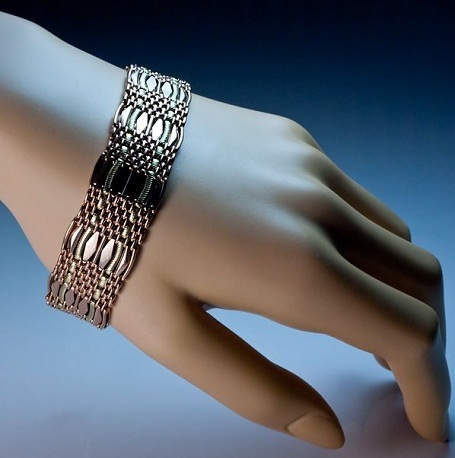 Cuff bracelets are relatively new in fashion trend and women can experiment with the cuff bracelets for a casual evening look or for a minimalistic look. They are thick band and open and can be adjusted made of metals, steel, silver or other alloys. 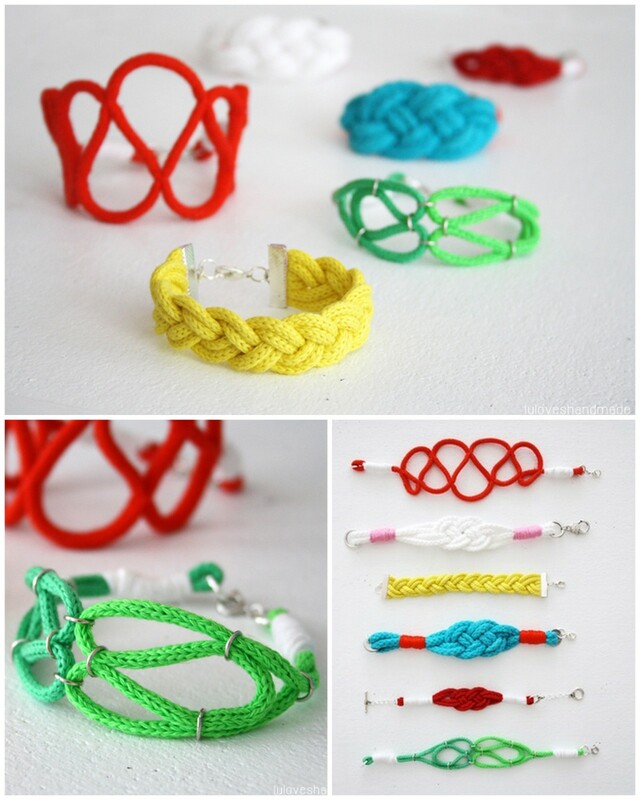 Loom bands are latest trend in bracelets. Loom bands look pretty with causal dresses. Even these are very easily available and not very expensive. 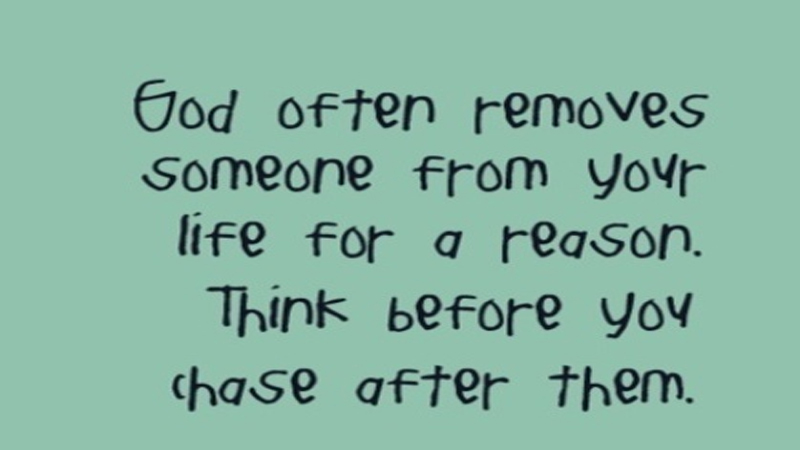 One can also make loom bands and experiment with them. Flowers can be the theme for a bracelet too. 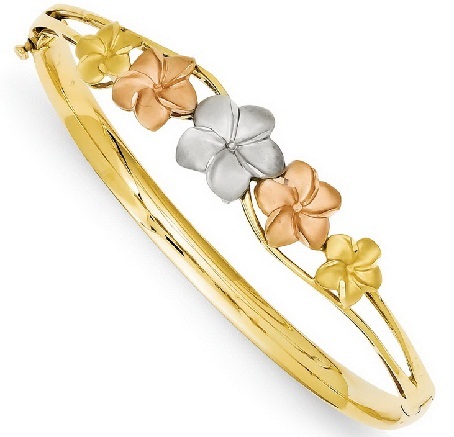 Adorn a simple golden or silver bracelet with embossed flowers and there you have a stunning look for an evening party. A flowing gown, flower bracelet and a simple clutch will be enough to complete the look and catch everyone’s attention. One of the most in fashion trends are the hand chain bracelets. They are so much in trend these days. They are flaunted by every women be it parties, gatherings or weddings. They look beautiful accentuating the hands as well as have a nice fall on the wrist as they are very light and only have chain with maybe stones or some small pendant etc. for a more Indian look , one can have the traditional black beads in it with the hand chain. Swarovski elements are the in thing these days with the Swarovski crystals in sarees, accessories, watches, jewellery etc. next only to diamonds. 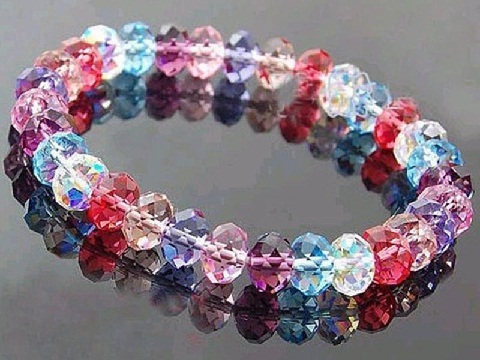 Similarly, Swarovski crystal bracelets are also fast catching up as a trendy accessory. 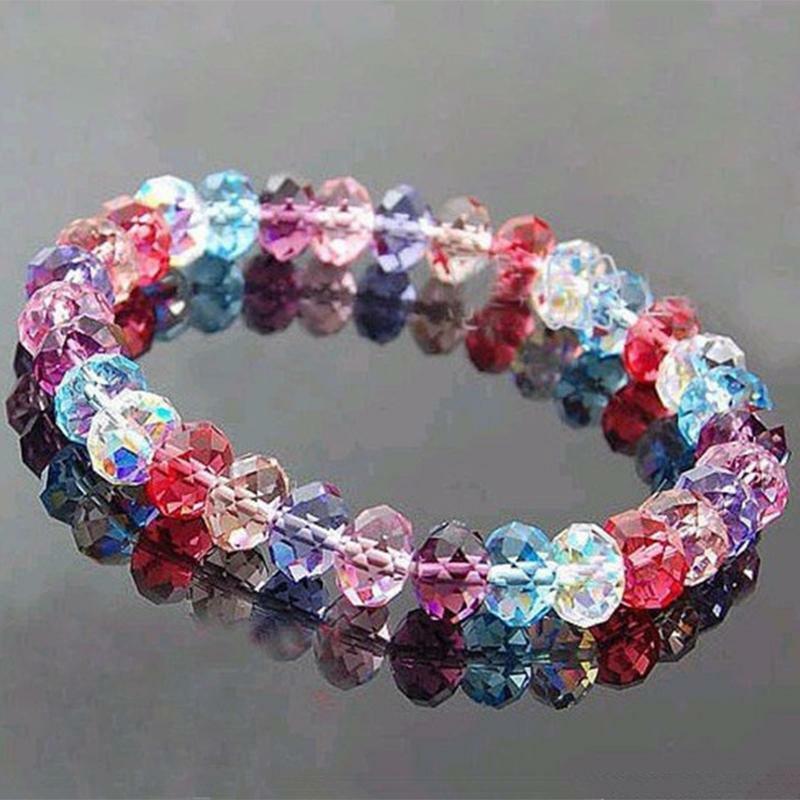 These bracelets with crystals are the classiest looking bracelets with that designer element feel and looks. Rhodium as an element is becoming very popular in jewellery making. Jewelleries are made with rhodium finish which looks close to silver in a way. Rhodium finished bracelets are elegant looking for that off beat looks and finish. 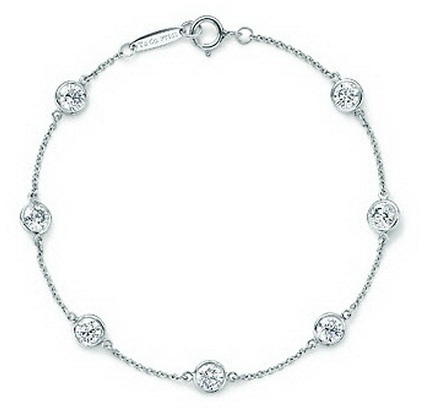 One of the most expensive ones in bracelets can be the platinum bracelets. Platinum as an element is preferred for jewellery for the elegance it reflects. They are very delicate and charming at the same time. Platinum bracelets can be a prized possession. Bracelets with precious and semi-precious stones can look brilliantly beautiful and classy. Rubies, sapphires or emeralds cut in style can be studded and placed artistically with the gold or diamond chain for the bracelet. They can be made into a set with necklace, ear rings, rings etc. to complete the look or can also be worn as standalone jewellery. Bracelets with a unique, single word like friend, love, trust, faith, hope, etc. look good for everyday use. 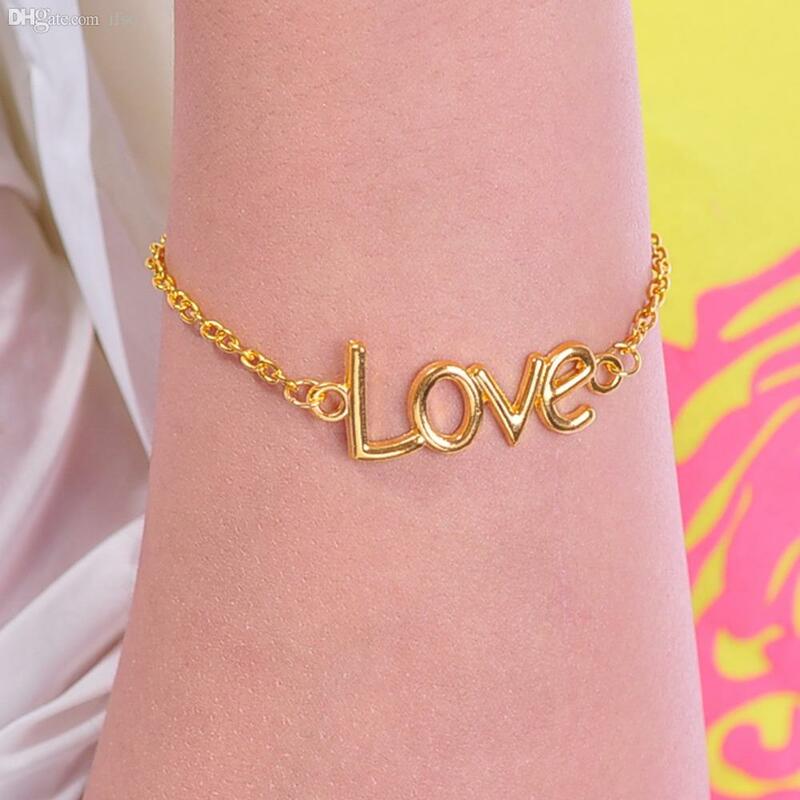 The unique word in the bracelet can remind us of few important things which stay in one’s life always. It can inspire us on a daily basis. 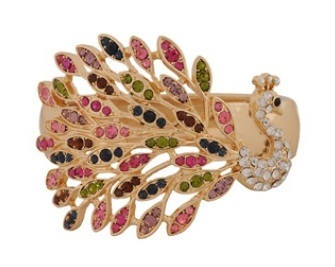 One of the most popular designs for that traditional look can be bracelets inspired by peacock designs. 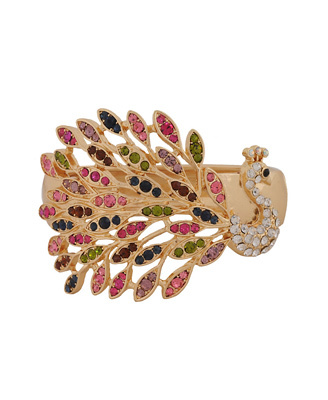 Peacock stands as a symbol of pride, grace and beauty. Women have all these qualities and hence can connect to these lovely, magical peacock bracelets. These Blue Sardinia bracelets are by a jewellery brand named Stella and Dot. They make these peppy bracelets with green and blue gemstones. They have only two unique colors of blue and green blended well into different accessories. They are flaunted all over the world by celebrities; fashion icons etc. and look glamorous on hands. They are not the usual looking bracelets. 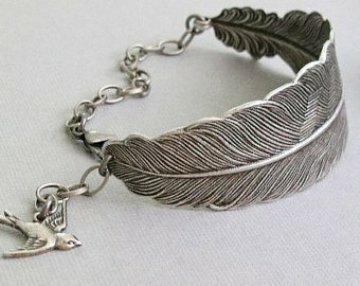 Feather Bracelets are different looking ones for women. 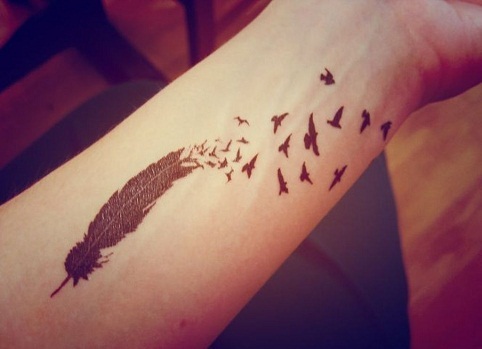 Feathers are symbolic to birds and hence denote freedom. Women are now independent, free and are at par with men in all walks of life. So women, go flaunt that freedom!!! Wow! The name itself gives the idea how it will be. Tattoos in the form of a bracelet on your wrist. The most in thing and trendy. Tattoo art form is becoming extremely popular and people are flaunting them according to their taste and choice. 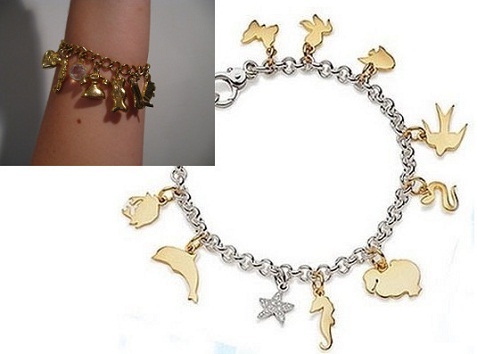 Tattoo Bracelets can be of birds, feathers, normal chains with stars, moon etc. They look very elegant too. Kundan is very popular jewellery for weddings and other traditional occasions. Expensive stones in green, maroon and white with gold complete the look. They give a rich look and are on the expensive side. Kundan bracelets can complete the bridal look with hand chain, bracelets, ear rings, necklaces etc. They look very grand and beautiful in hands. Polka dots are very much in fashion again. They give a retro style look and look pleasant. Polka dots are also the most preferred style for models and fashion shows. They can be in multi colors but the white dots on the colored background look awesome when paired with funky tees, jeans, skirts, crop tops etc. 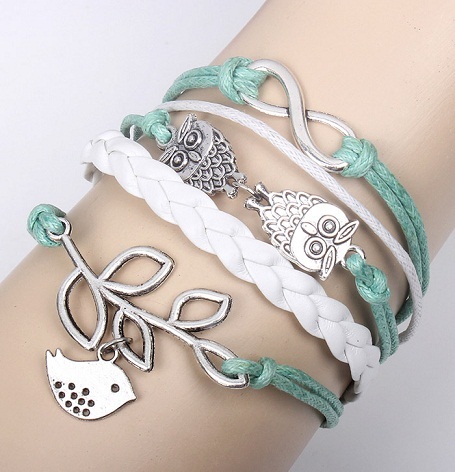 Genuine leather bracelets with owl, eagle, hawk designs are extremely popular in the fashion circuit. They go very well with western outfits. Owl designs are very much popular in long chains, rings, ear rings etc. they look very stylish when accessorized into a bracelet. Women are very fashion conscious and want to keep their style statement updated at all times. Bracelets are the way forward to create one’s own style statement. Bracelets with unique styles, designs and looks give a new definition to overall personality. Bracelets are excellent message givers while using any non-verbal modes of communications like hand gestures while talking, while shaking hands etc. Bracelets are for elegance in a woman’s hands. Images Source: M, 1, 2, 3, 4, 5, 6, 7, 8, 9, 10, 11, 12, 13, 14, 15, 16, 17, 18, 19, 20, 21, 22, 23, 24, 25, 26, 27, 28, 29, 30.